Kemp's ridley sea turtles prefer warm waters in the Gulf of Mexico and the Atlantic Ocean. So how did one end up in the chilly Netherlands? 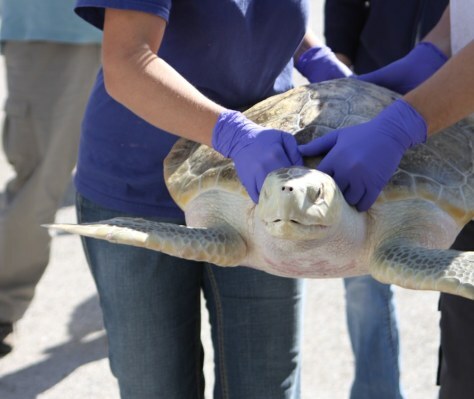 Marine biologists think the turtle now dubbed Johnny Vasco de Gama became "cold-stunned" by cold water and drifted thousands of miles. Fortunately, it was rescued.